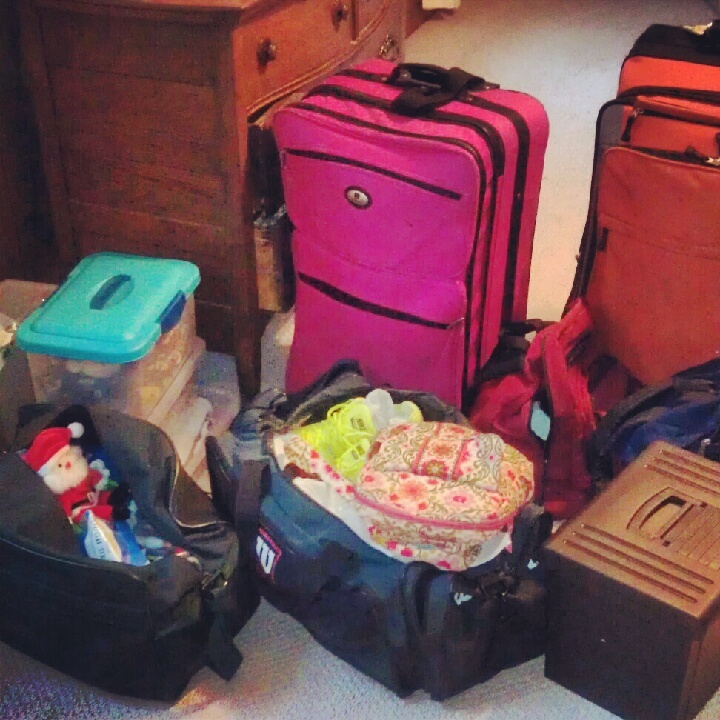 Expat life often involves lots of suitcases. Lots of cleaning out and paring things down. Change. Moves. New places, new faces, and a search for a sense of home. One of my childhood friends is preparing to move his family to Italy. His wife recently posted on Facebook, asking expat friends for suggestions on what to pack and what not to pack. I really enjoyed reading the comments. And some stood out more than others. A couple of people suggested something that I especially appreciated. They encouraged her to pick out a couple of items in her current home that they could take with them as a symbol of home. Then, no matter where they are, when they see these things, they’ll know they’re home. We actually have one such item ourselves. He was a gift from Zack the first Christmas after we got married. He’s a beanie baby Santa. He stays out year round at our home. And he lives wherever we live. Three homes in Georgia, then Virginia, Vancouver, Oslo and now Sandefjord. Most people who see it probably think it’s weird that we have a Santa sitting out. But when I see him, I know I’m home. If you were preparing to move overseas, what would you insist on taking with you? What is one thing you have that always lets you know you’re home? Thanks so much for sharing! As we are preparing to move to Italy, I have been pondering those items that will make our new home immediately feel like OUR home. We have moved around quite a lot too, over the last few years and some things that have traveled with us are throw blankets. I have accumulated quite a collection over the years and most of them have fond memories attached. We love to snuggle up as a family under those blankets and watch movies or TV. We may not have room for all of them to travel to Italy, but we will definitely be taking a few!